Be it to escape from the scorching summer of the Indian plains, an extended family vacation, romantic honeymoon or adventure and fun with friends, Jammu and Kashmir, famed as the crown of India, it is one of the most sought-after destinations in India. The breathtaking scenery, serene romantic ambiance and the places to visit in Jammu and Kashmir have always been the muses of several writers and much has been written about them. Jammu and Kashmir is a state that is equally admired amidst nature lovers from India and abroad. Kashmir is first choice to escape from the scorching summer of the Indian plains, an extended family vacation. This crown of India is equally liked for romantic honeymoon or adventure and fun with friends. It is one of the most sought-after destinations in India for domestic and foreign tourists. 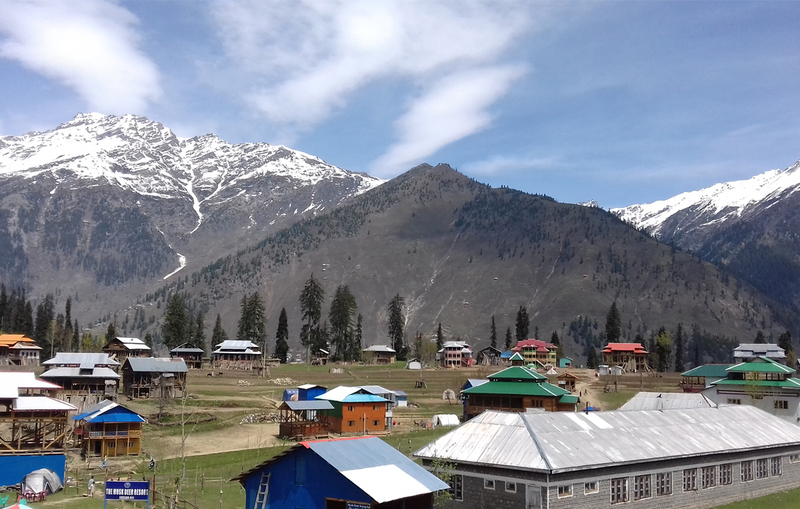 It is an alluring combination of pristine valleys, crystal-clear lakes, snow-clad peaks, High Mountain passes, various pilgrimage sites including temples and mosques, perennial glaciers, spectacular Mughal Gardens and plethora of adventure activities.